Celebrity Delay Claim of the Century? My weekly round-up of what’s making news in the construction industry turned up a story out of Las Vegas, Nevada about a developer suing an owner for compensable delay. It seems that the $50 million project, involving the conversion of a private residence into a museum, has never really gotten off the ground. And Mr. Las Vegas is smack-dab in the middle of it. 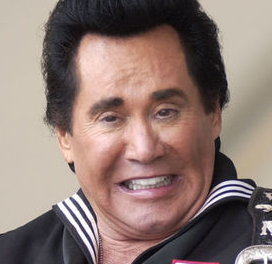 The conversion of Wayne Newton’s Sin City estate, “Casa de Shenandoah,” into ”Graceland West” involves construction of an exhibition space, a theater, a zoo and a visitors’ center, among other attractions. But the developer is alleging that it can’t make meaningful progress so long as Mr. Newton and his family refuse to relocate to a new $2 million home the developer is building on the 40-acre property. “It is quite clear that it was always their intention to remain in the Mansion regardless of the terms of the agreement,” the lawsuit alleges. The company claims Newton’s home was in a “sad state of disrepair” when it purchased the land for $19.5 million in June 2010, with his horses uncared for and 6-feet-tall animal manure piles covering the grounds. “The penguin ponds were disgustedly dirty, full of algae and were endangering the penguins, all of whom were sick and many had died,” the lawsuit reads. – From the AP’s coverage, which you can read in full here. Probably goes without saying that Mr. Newton won’t be singing “Danke Schoen” to his developer anytime soon. For his part, Mr. Newton contends the developer failed to acquire permits, failed to communicate with Mr. Newton, failed to turnover required financial statements and bullied its employees. In other words, it looks like this dispute might have legs, and could stay interesting. So I’ll be keeping my eyes on the story going forward. Who knows? Maybe the outcome will contain a valuable lesson or two for the construction bar. But that’s of secondary concern. For the love of Pete, save the penguins!